Not everyone liked the UEFA’s decision of leaving the organization of the European football championships in 2012 for Poland and Ukraine. The Germans had the most grudges, but this shouldn’t came as a surprise to anybody as it’s widely known that our western neighbors wanted to take over the event most. According to the daily “Die Welt”, UEFA president Michel Platini gave Poland and Ukraine “a yellow card and a warning” but he is endangered himself by “a red card” and the European Championships are endangered by a fiasco. In the daily we read that Platini is acting according to the “rules of his sports and political games.” “The clever Frenchman built his image as a defender of weak. And thanks to their votes he is at the head of the UEFA (…) He reciprocated with granting them the organization of the European Championships and increasing the number of teams participating in the finals of the European Championships from 16 to 24,” the German newspaper judges. The daily “Allgemeine Zeitung Wiener” emphasizes that on Friday UEFA decided to continue the “adventure” in the name of “Go East”. As he writes the organization of the football World Championships in 2010 by the Republic of South Africa is a similar adventure. “Poland can still provide its part of the project of Euro 2012 with a firm footing despite the internal problems with corruption and hooligans. But in the Ukraine almost everything is missing at the moment,” “FAZ” assesses. The UEFA lost a lot of it’s trust in Poland. 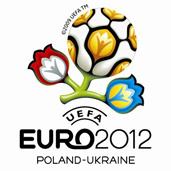 The spokesman of the UEFA, William Gaillard declared, that Poland won’t loose the right to organise the European Championships in 2012. That is a reaction to the agreement between the Polish government and PZPN thanks to which the temporary probation officer of the association Robert Zawłocki will be dismissed. An adviser to the President of the UEFA Michel Platini added that the conflict around the PZPN has weakened the relations between the Polish authority and the European Football Union. Anybody in Poland interested in hiring an American for some time so I can move over there and work to earn my stay for the games. If so mail me back. I can work in restaurants, schools, and now write for a newspaper. I don’t have much money so I was planning on seeking local employment around the stadiums to support my visit. Who should be the one to be bitter? Germany or Poland. After having attacked the Poles in 1939. West Germany became part of the West and NATO, while Poland was sold of by the US and Britts to Stalin and the Soviet Union. West Germany throughout 4 decades has flurished as a Western democracy, both politically and economically. While Poland and all of Eastern Europe were shakled by the 3rd world country mindset of the Soviets. Germany should consider itself lucky because of the US. I served in the US Army in West Germany and they had the attitute that if you’re not a German, you don’t belong here. Even though, the US spent billions of dollars in Germany in the form of Military Protection as allowing Germans to hold thousands of jobs on US Army installations. So, who should be bitter here!! !.